In a country famous for its karaoke, Sebastian Vettel would be forgiven for breaking into some Lou Reed this evening. For him, it was a perfect day. Early in the weekend Seb talked ominously that he was determined to make up for last year's Suzuka race, where he could 'only' finish third after a conservative race to ensure he got over the line to confirm the drivers' championship as his. Well, it can be said that he did just that. It's clear that Seb sees this track as his fiefdom. He led from pole and won the Japanese Grand Prix imperiously, there never looking to be a race over first place as he established a resolute lead and held it (and occasionally extended it) as he liked. The sort of drive that we've seen from him repeatedly, and that we seem to see from him most years at Suzuka. For Seb, the song remained the same. Indeed, not just in the race but for most of the weekend he looked untouchable. And what's more, the one guy ahead of him in the title hunt didn't last beyond the first corner, Seb's win thus slashing the championship deficit down to almost nothing. And it's the first back-to-back wins for any driver this season (so much for the 'winner's jinx'). 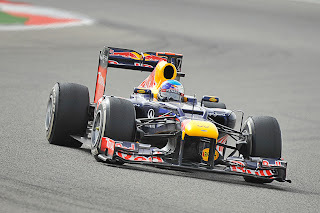 Furthermore, in a year which has been uncharacteristically bitty by Red Bull's haughty standards, in the past two rounds the car's looked just like its old self, the class of the field. All of a sudden, and having operated rather under the radar for most of the year, Seb is now the firm championship favourite. But let's not forget that if F1 teaches us anything, certainly F1 2012-style, it's that things change much more quickly than you think. There have been plenty of unforeseen swings in the championship picture this year from a single race result, and I don't doubt there will be a few more yet before the season closes. Indeed, just two races ago Red Bull looked to be nowhere. 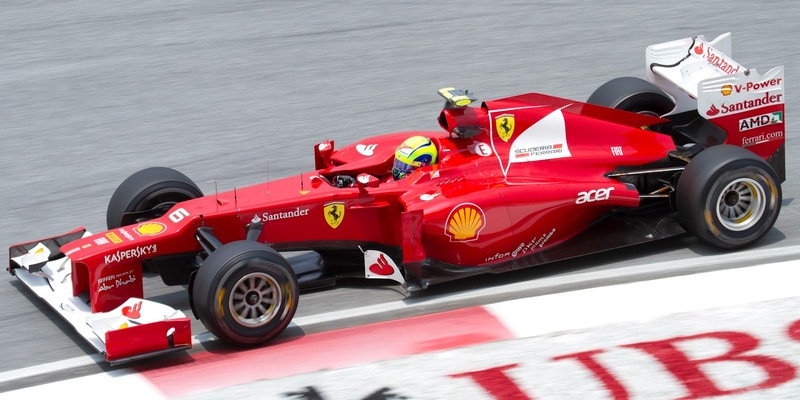 And Ferrari won't stand still (Alonso yesterday spoke about exciting developments in the pipeline), plus the identity of the guy who finished second today shows that the F2012 isn't a fundamentally bad racing car. As intimated, Fernando Alonso only made it to turn one today, but his stable mate stepped up to the mark with a fine run to finish second. Felipe Massa today looked a lot like the guy who was world champion for 30 seconds in 2008, and indeed he was quick all weekend, only to stumble at a critical point of the second qualifying session. But he made up for it today and then some, taking (astonishingly) his first podium finish for close to two years. But perhaps the drive wasn't completely out of nowhere. I've maintained for most of the year that Massa's been pretty close to Alonso both on qualifying and on race pace for much of the season, and many onlookers have been guilty of leaping to the conclusion that the mammoth points gap between Felipe and his team mate must be reflected in the pace gap. There will be much talk about Felipe doing his team a favour today by taking some points away from Alonso's championship rivals; while this is true it's also the case that the drive was very important for himself. And we had a further good news story in that Kamui Kobayashi completed the podium. Just as with Massa it was a fine drive that could be important for staying with his team for 2013. And what a wonderful reaction it was from the assembled Japanese crowd as Kamui took the finish and stepped up to the podium. It was a timely reminder that Japan is one of a few countries in the world in which passion for F1 is intense and constant, and while they haven't had much to shout about in recent times, either on the drivers' or on the manufacturers' front, they got something today. There was a number of accidents at turn one, which rather jumbled the order and contributed to a rather jumbled result. First off, Alonso departed early after his rear wheel tagged the front wing of Kimi Raikkonen. It was a clash difficult to apportion blame for, in that it appeared a classic 'three into two doesn't go' clash as everyone funnelled into the first corner, the sort we've seen plenty before. Certainly there was no blame to apportion to Kimi (or to Button who was on the inside); you could perhaps argue that Alonso was a bit too aggressive squeezing Kimi on the outside. But saying that is rather hyper-critical. And Romain Grosjean had another rather egregious misjudgment in clashing with Webber, not his first early race contact this year as we know (I'm told it's his eighth). And frankly it just looked like he forgot the corner was coming and neglected to slow down; it's not for nothing that Webber's words of condemnation were strong after the race. It's all rather worrying, as while Grosjean is certainly quick there doesn't seem to be much learning on how to stay out of trouble in the opening corners. And while they haven't all been his fault entirely, rather like the kid at school who gets into a fight with every other kid in the playground and each time claims it was the other kid's fault, it rather stretches credulity to say that he isn't at the broadest level being an active contributor to the situation. It's all a pity as well, as just as with Pastor Maldonado beyond this flaw there's a very fine racing driver there. Let's hope he can learn; and let's hope that the other drivers, and everyone else for that matter, refrain from witch hunts. And Webber continues to wonder what he's done to offend the racing gods, the incident consigning him to the back, though he did salvage two points for ninth by the end. 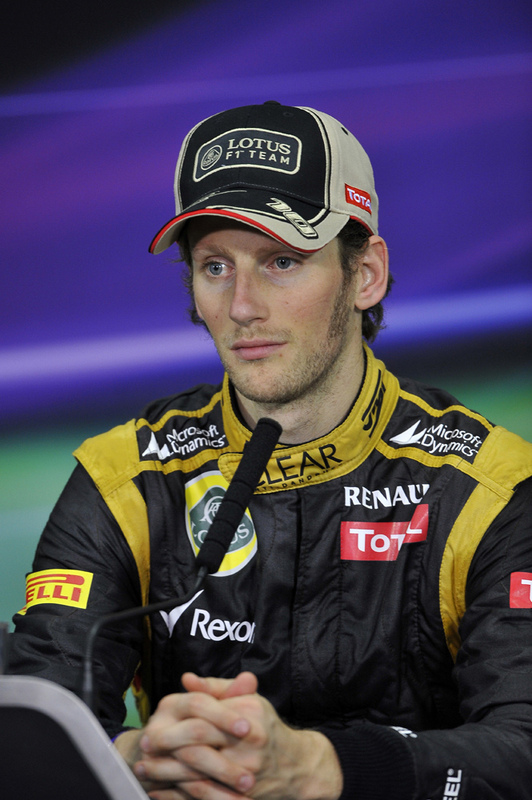 But his frustrating time of it stretches all the way back to his Silverstone win in early July. Jenson Button followed Kobayashi home in fourth, just coming up short after a late-race charge, with Lewis Hamilton a little subdued in coming fifth, presumably his dud set up from qualifying continuing into the race (perhaps it's a note of caution to Red Bull that before this race McLaren looked untouchable, just as the Bulls do now). Raikkonen continued to make the best of things with a sixth place. He's still somewhere in the championship fight, but unless Lotus can find some tenths (and the 'device' was yet again ditched this weekend - and now officially looks a busted flush) it's difficult to see Kimi pulling it off. The chances look a lot better for Seb of course. For now there'll be a song in his heart (if not 'Perfect Day' then perhaps 'In for the Kill'), as in a short period of time he's gone from the invisible man of the title battle to the flag bearer. He's not the championship leader yet, but somehow it feels like he is. But this is F1 - things could yet look very different in a week's time.